Global map of attendees at this year’s Leadership Forum in San Francisco. As someone who spends a lot of time at social events in Silicon Valley, people often ask me what my role is at work. There are a number of ways to explain it — I lead part of a global licensing team, I work on the community team, I work with volunteers around the world—but the main focus of my answer is always about elevating others in local areas around the world who are interested in doing good in the world through technology. I spend my days on 8am phone calls, which is 5pm in Central European Time (CET), or 8:30 PM to accommodate 10:00 AM in Indian Standard Time (IST). Our team used to onboard every Chapter personally, one-by-one — for an hour each. As we’ve reached scale, this is no longer possible. Now we review, select and onboard Chapters on a quarterly basis. One thing that’s consistent is the human-centered design process that furthers everything we do. As we work within local communities, we are especially interested in facilitating local networks and learning that will resonate in a local area — for example, hosting events in local language, and bringing in experts on exponential technologies that reside in the city where a Chapter is based. I’m thrilled to announce that we’re adding 17 more Chapters, and renewing 1 license, for a total of 💯 Chapters in 55 countries. 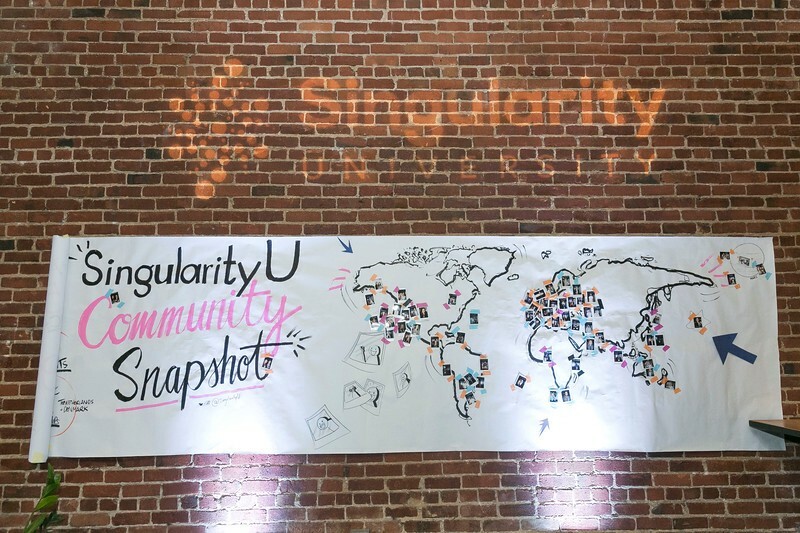 The new SingularityU Chapters are in: Bangalore, India; Bangkok, Thailand; Beijing and Shanghai, China; Brussels, Belgium; Cairo, Egypt; Caracas, Venezuela; Chicago, Illinois, U.S.; Chihuahua, Mexico; Islamabad, Pakistan; Leon, Mexico; Munich, Germany; Okinawa, Japan; Oslo, Norway; Paris and Toulouse, France; and Tallinn, Estonia. Additionally, the SingularityU Barcelona Chapter in Spain is renewing its license. Below, we have some specific comments from members of the Chapter Leadership Teams in each of our new and renewing Chapters. “Last year I had the great opportunity to participate in GSP 16 where I learned and had hands-on experience with bio-engineering, space-mining, robotics and A.I. Being an engineer and having been working with machine learning for the past years, I truly believe that artificial intelligence will help us to overcome some of the many challenges that humanity is facing. It is really exciting to be part of kick-starting this incredible journey with the SingularityU Chapter in Egypt - and I can’t wait to see the chain reaction and the positive impact that this will bring!" “SingularityU Tallinn is based in Estonia — the birthplace of Skype and a country that has emerged as one of the most advanced digital nations in the last 20 years. During the next 20 years we will see an even greater disruption thanks to the convergence of exponential technologies that will affect every aspect of our society. I believe Estonia can have a positive impact globally by being at the forefront of this transformation through relentless innovation and bold implementation of new ideas.